Circular economy is one of the hot topics on the agenda for Swedish Life Cycle Center and Swedish platform for the lifecycle perspective this year. It all started with a network conference in February and continues with webinars during the year. Erik Sundin is first out! The webinar is arranged by Swedish Life Cycle Center and the project Swedish platform for the life cycle perspective (funded by the Swedish Energy Agency). – What are the steps within the remanufacturing process? – What are the environmental benefits? – What are the drivers for remanufacturing companies? – What are the challenges for the remanufacturing companies? 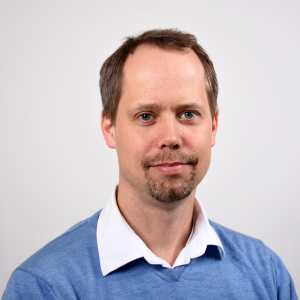 Erik Sundin works as an Associate professor at the Division of Manufacturing Engineering, Department of Management and Engineering at Linköping University, Sweden. He conducted his Ph.D. area of remanufacturing and his thesis was entitled: Product and Process Design for Successful Remanufacturing. Currently he is performing research within remanufacturing, circular economy, product-service systems (PSS) and sustainable manufacturing. He has been working in several EU-projects as well as many national projects. Since 2012 he is acting regional editor for Journal of Remanufacturing (Springer). Registration: Through the link below no later than 2018-04-12, at 12:00.